NEW YORK -- The Boy Scouts' New York chapter has hired the nation's first openly gay Eagle Scout as a summer camp leader in public contrast to the national scouting organization's ban on openly gay adult members. 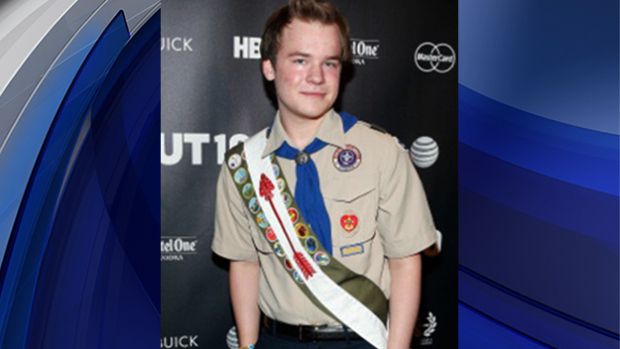 The Boy Scouts' Greater New York Councils said Thursday they have hired Pascal Tessier, an 18-year-old who has been a vocal advocate of opening the 105-year-old organization to gay scouts and leaders. A spokesman for the Boy Scouts of America says there was no change in that national policy, which has been highly divisive. The organization changed its policy in 2013 to allow openly gay scouts but not adults. Some local Boy Scout councils have let it be known they are open to gay employees. But the New York councils' move presents an unusually acute departure from the national policy. Board member Richard G. Mason said the councils see Tessier as "an exemplary candidate for employment as a camp leader," CBS New York reported. Tessier achieved scouting's highest rank last year after being one of the most prominent openly gay scouts speaking out to change the ban on gay participation. The Kensington, Maryland, teen said then he was relieved finally to have his Eagle badge approved by the Scouts' national headquarters in Irving, Texas. "Even if I had been kicked out along the way, I wouldn't have changed anything," he said. "The whole experience was something worth having, not only for myself but also for all the other people involved, and for all the people it affects."